Bounce rate is an interesting metric provided by most e-commerce analytics programs. It is one of the "key performance indicators," or KPIs, that e-commerce sites can use to monitor and assess the traffic on the website. While it is difficult to define a "good" bounce rate, monitoring this metric as it relates to actions taken to engage customers can be enormously productive. But first, you'll want to understand bounce rate and its specific relation to e-commerce websites. A visitor who lands on a website and leaves without clicking through to other pages is said to have "bounced." For every 100 visitors, the number that bounces is the bounce rate. For example, if 1,000 visitors land on an e-commerce website on a given day, and 583 of them exit without clicking through to any other page, the bounce rate would be 58.3%, i.e. (583 / 1000) x 100. Why Should E-commerce Websites Even Bother? Wikipedia is an example of a website that should not be concerned if it has a high bounce rate. Many web surfers may land on a Wikipedia page as a result of a specific search from a search engine. The page they land on might have all of the information that they were seeking, so they read through the page and exit Wikipedia. But that is not how things work for an e-commerce website. If a visitor lands on a product page on an e-commerce website, the ideal result would be that the visitor clicks the "Buy" button and moves ahead in the purchase process. Another great outcome would be if the customer were drawn to visit additional pages and add more products to his or her shopping cart. None of these favorable outcomes will occur if visitors are not clicking through a website. That is why a "high" bounce rate is bad for e-commerce websites. What Is a Standard Rate for E-commerce Websites? There is no blanket "good" bounce rate. Some e-commerce websites may have bounce rates in the region of 25%, while others may go all the way up to 66%, i.e., two out of every three visitors who land on the website leave without meaningfully engaging. If an e-commerce website's bounce rate is higher than 66%, it would be worth digging into why the bounce rate is so high. For example, are emails or other marketing outreach to potential customers promising something other than what is seen or delivered upon clicking through? Is the website unwelcoming visually or difficult to navigate? As adjustments to address these issues are made, It will be important to monitor whether the changes are affecting the bounce rate. So rather than focusing on the bounce rate in relation to an arbitrary ideal, it may be more instructive to focus on improving the bounce rate in comparison to the website's historical bounce rates. What Are Some of the Causes of a High Bounce Rate? No matter what an e-commerce website's bounce rate is, the target should be consistently lowering it. Countering the items on the above list would be a good start in this process. The idea of reducing the bounce rate is in perfect synch with the idea of giving customers what they want, a fundamental tenet of retail sales in any channel. 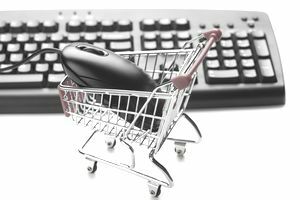 If customers feel that their needs will be met on an e-commerce website, they are likely to stay on the site and continue to shop. Learn more about how to lower bounce rates. There is no need to get obsessed with an artificial standard for bounce rate, but working to lower it over time should produce good results. A lower bounce rate will lead to increased sales from the hard-won traffic on an e-commerce website.